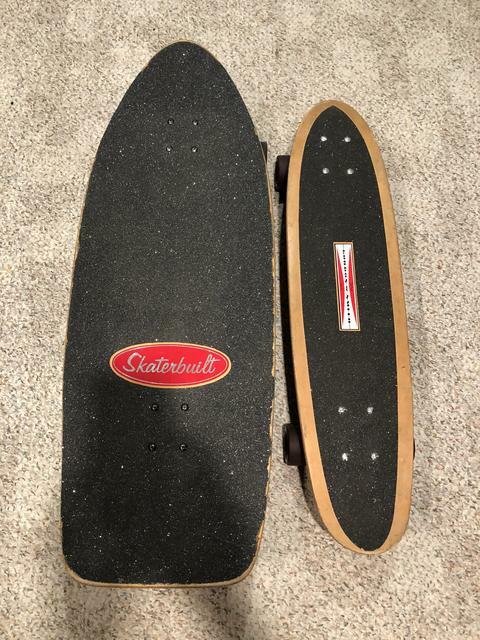 Just a quick question, I'm sure the answer is here somewhere, I'm replacing the grip tape for a G&S Stacy Peralta warp two (ply not solid wood), the one issued before Pooks board pictured above. 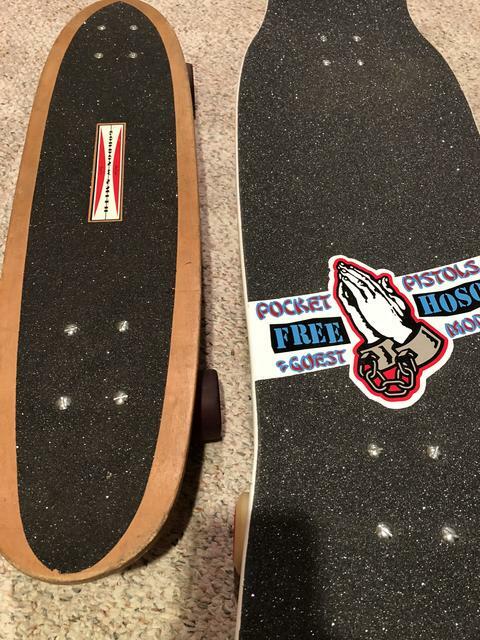 The grip was shot (hardly any coarse grip left so comparison is tricky) as well as the top sticker, I've made a stencil for the grip and I'll see if I can get a replacement sticker, but my question is what grip tape to get to replace with? Wooster? 3M?... Jessops would look pap. Hopefully I can source something here in the UK too! I think Wooster has the most sparkle and looks most like the old stuff. Just one man's opinion. Does anyone know what G&S use for the re-issues? It's pretty close to the original... a bit TOO sparkly perhaps, but damned close. It must be a third party manufacture, so someone, somewhere must know. Thanks dudes, I was kinda thinking Wooster. Ooh yeah, I didn't think about the re-issues, maybe that's why they are so expensive, it's the extra sparkles in the grip! The last round of reissues are about as close to original as you'll ever see by any company. Same bowtuff, just slightly different colors for the most part. If you really want to know and not just want speculation, send an e-mail to David Anderson at sk8Supply: support@socalskateshop.com or call him/them at (949) 600-5876. He and Deb (Gordon) were extremely involved in these reissues. I'd imagine he knows what kind of grip was used. The Warptail 2 re-issue is not close to original at all. Rear wheel wells no longer run out along the length of the board like the original did. The badge is nothing like the original, and it's painted on to the wood instead of a sticker. The finish is too glossy and modern looking too. 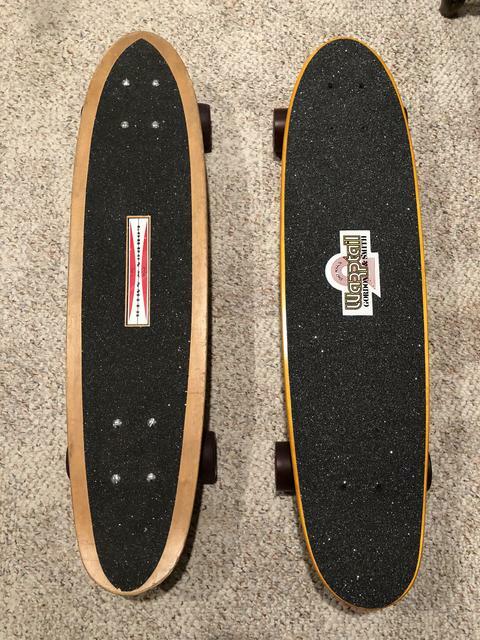 It's a great deck still... of course, but it's not an exact replica ( I have both right here). This is a good thing IMO though, as it stops people ripping others off with fake NOS stuff. 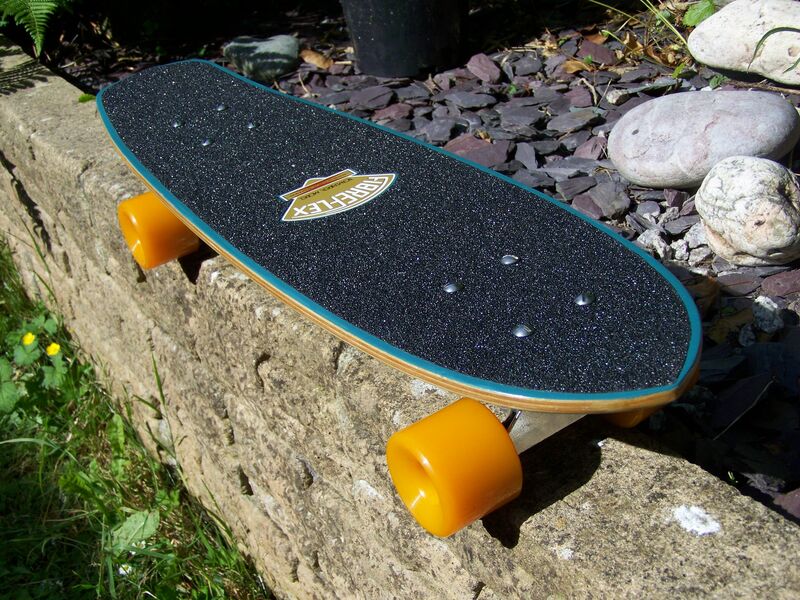 OK, one last griptape question... has anyone used the ultra-coarse grip sold for long boards as a replacement for 70's grip? I haven't seen this stuff up close, just wondering. If you're still looking for OG-looking grip for your Warptail, here are a few pictures for comparison. 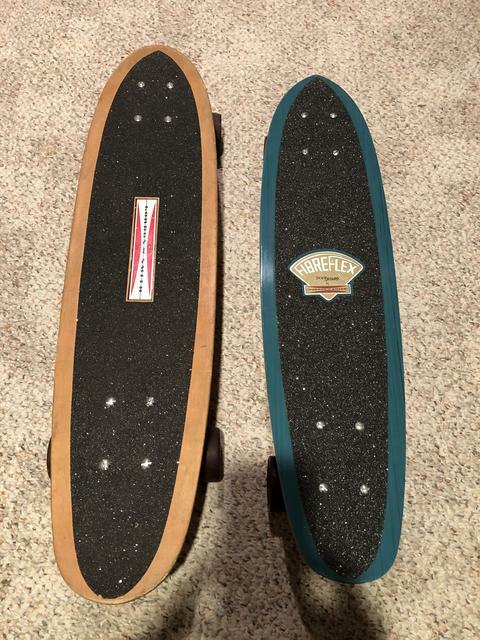 My OG next to Hammerhead with Wooster grip. I think the Wooster is pretty darn close to OG. My OG next to one of the earlier Warptail reissues. The grip on the reissue is very sparkly. My OG Warptail next to OG Fibreflex with mineral grip. The Fibreflex might have a tad more sparkle. 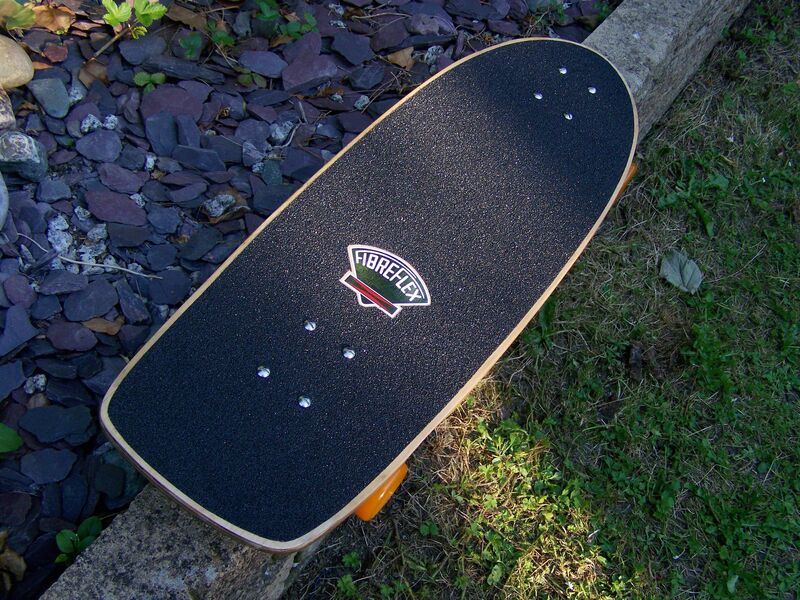 As to extra coarse grip tape, I have used different kinds on my riders. The one with the most sparkle is Skaterbuilt Cow Tongue. Edger Grip doesn't have much sparkle and Cloud Ride has none at all. Wooster is a good match. The later Fibreflex grip was not as sparkly as 70sSkater mentions. I used some of the more coarser modern grips on these restorations. Pretty close - but a little too coarse! That grip tape looks good Mark and pretty convincing too. My OG Fibreflex pictured above got a nice little facelift from you (but the top is all original).